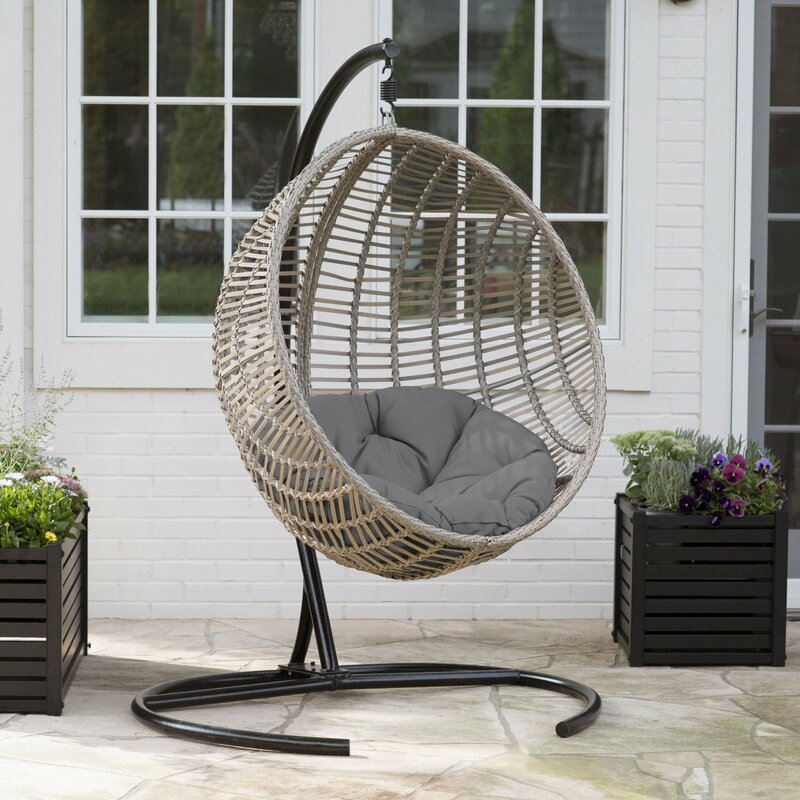 Offering enough room for that cozy feel, this all weather outdoor swing chair by Island Bay does provide the perfect means for some little escape after a hard day at work or just for relaxing and taking in all that nature has to offer. Fun to look at and quite enjoyable to curl up in, this unit that comfortably seats one is 75 inches in height and 37.5 inches in depth; more than enough space for an adult. 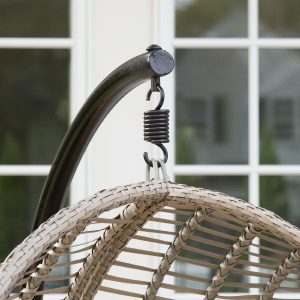 The chair is durable and sturdy, coming in a strong powder coated steel chair frame that’s wrapped in resin wicker, this swing chair can ably hold 300 pounds. Chic and simple, the units ribbed resin wicker construction has been finished in driftwood for the ultimate look that easily recalls a well thought out effortless style. 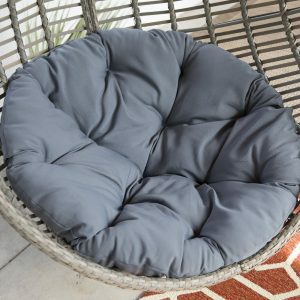 The swing chair comes with a beautiful, comfortable polyester cushion that fits snugly within the chair frame, inviting all and sundry to sit back, take a deep breath and unwind. Made of high quality steel frame and strong resin wicker, the unit is gorgeous, giving your space, that look of expensive chairs without spending as much. The piece is also quite spacious, giving you enough room to tuck in your legs and be comfortable since the width of the basket is 40 inches and the width of the base stand is 47 inches. 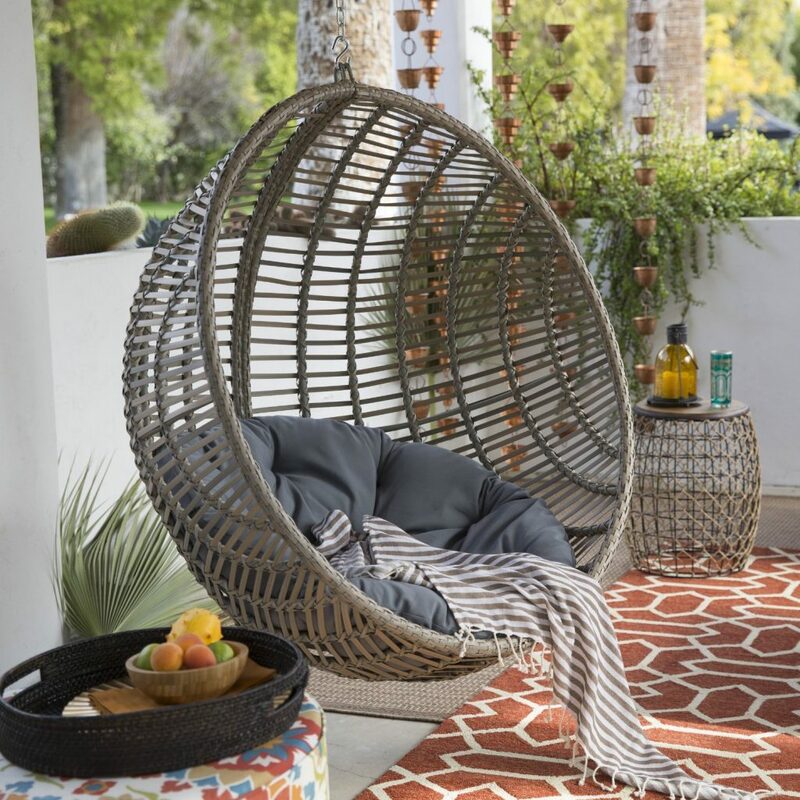 The chair has specifically been engineered with durable, weather resistant ribbed resin wicker, making it quite ideal for both indoor and outdoor use. The well thought out and comfortable design does make the unit a perfect spot for reading, napping or simply lounging. 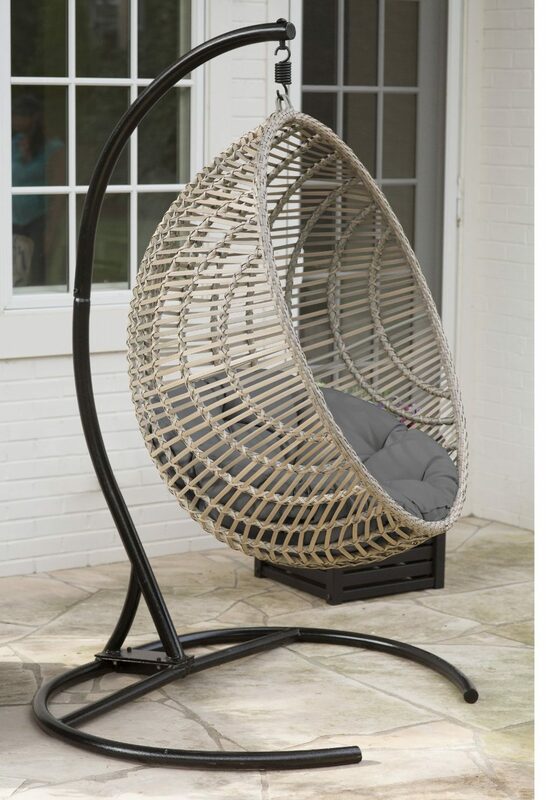 In addition to the above, this beautiful ball chair has a unique tri-color that’s bound to go great with most yards; giving you that rare, highly sought look. The furniture has been carefully woven by highly experienced craftsmen. As a matter of fact, the manufacturer has employed some of the best furniture weavers and quality control staff so as to ensure consistent quality and superior workmanship. Because no one likes wet cushions, the ball chair does use quick dry foam which not only allows water to drain out of the cushion quickly, but is also resistant to mold growth as well. Perfect for relaxing in your large or small outdoor space, this furniture design will complement any modern home. The stand dimensions of 47 inches in width, 41 inches in depth and 75.5 inches in height, the piece is very stable and safe to use. The chair is relatively easy to assemble and is delivered with a well written and easy to understand assembly manual. The unit does also come complete with the chair, cushion, stand and hanging spring as well as all the requisite hardware for assembly. When compared to other products of equal quality, the chair is very well priced, offering unmatched quality at a fraction of the cost. This does make the chair a great purchase for anyone who is keen on quality at a fair price point. The unit is also very well packaged for shipment and going by the rave reviews, has been delivered on time to most clients. One of the main disadvantages of the unit is that even though it is quite sturdy and durable, it is highly recommended that the chair is stored during winter or be covered securely during the winter period. 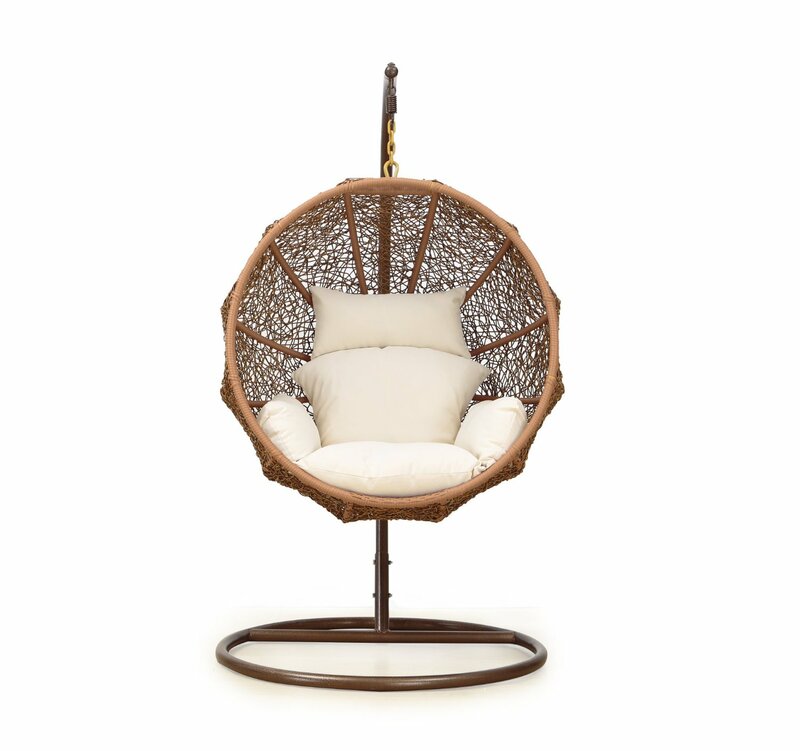 This swing chair is worth the money, with uncompromised comfort, expert workmanship and attention to detail; this gorgeous chair is an outdoor gem. The ease of installation, the style, and overall look that it introduces to any outdoor space is quite breathtaking, to say the least. 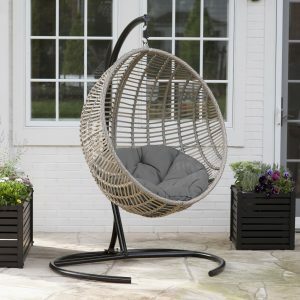 Whether you are a first time buyer or not; this charming swing chair is bound to blow your mind with its overall simplicity, uniqueness and comfort levels. 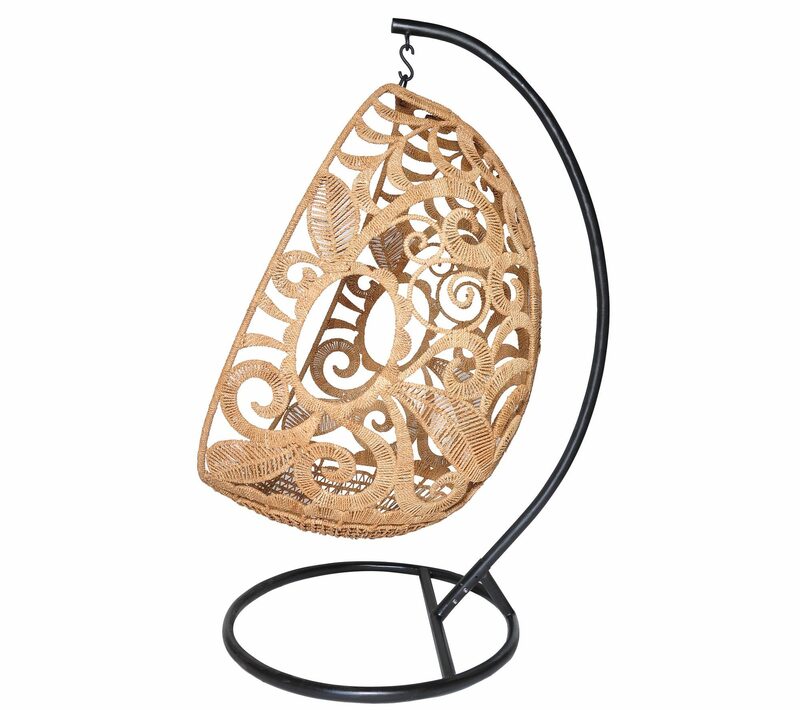 This water-resistant hanging chair cover will be the best protector for this swing chair. 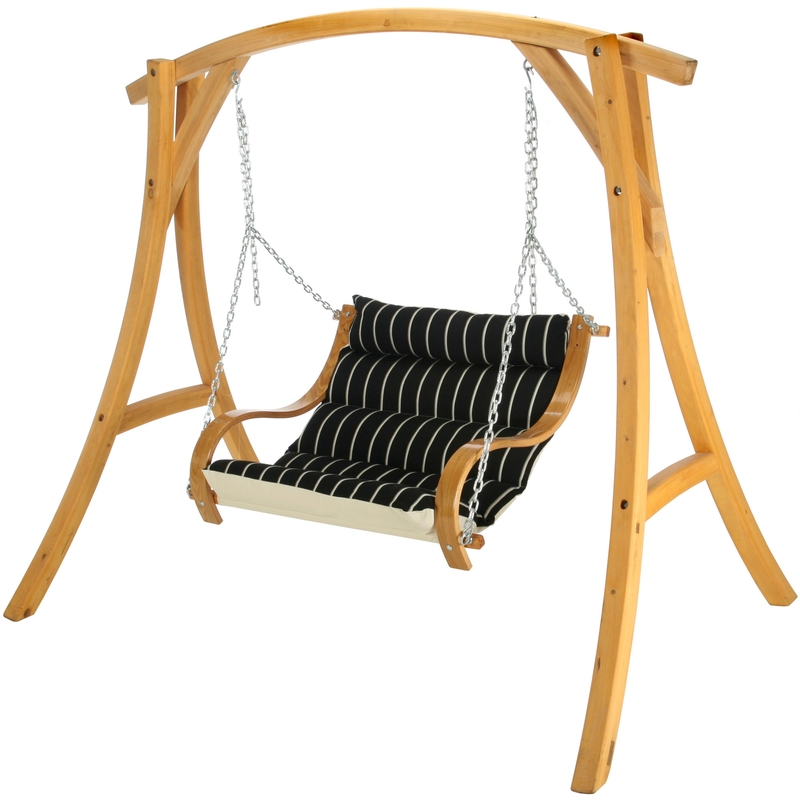 I highly recommend this swing chair to anyone who is keen on quality and unparalleled workmanship.